Features varieties of tomato "budenovka"
Pink tomatoes have a delicate sweet taste and thin skin, it is highly demanding in terms of cultivation, so farming should be strictly adhered to. Almost all varieties grow to giant size, which creates additional work associated with the frequent tying to the trellis. Features varieties of tomato "Eupator"
The most common varieties of pink tomatoes: "De Barao pink", "rosy cheeks", "Rosina", "Rosemary", "Tsunami", "Pink giant", "Happiness", "gifts for women". Almost all varieties are medium late maturing. Grow in open ground, do not tolerate drought, improper care prone to cracking. Before sowing the seeds Bessarabia in a pink solution of potassium permanganate for 20 minutes, place in a sieve, rinse under running water. Soil for planting should be fertile and easy. The best option is to use a potting mix for seedlings, which they sell in the store for gardeners. If you prepare the soil mix yourself, mix 2 parts topsoil with 1 part river sand, add 1 part peat, 1 part humus, 1 matchbox of wood ash per 10 liters is prepared the right soils. Central Russia, sowing pink tomato seedlings range from the third decade of March until the second decade of April. 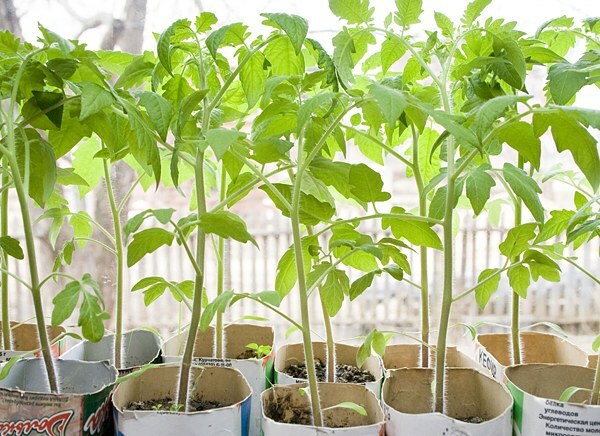 Expect sowing to planting tomatoes in a permanent place you had a 50-day strong seedlings. Meteo pour, cover with plastic wrap. As soon as sprouts appear, put the boxes into a bright place with a temperature of 21 degrees. During the period of cultivation to feed seedlings twice with liquid complex fertilizers. 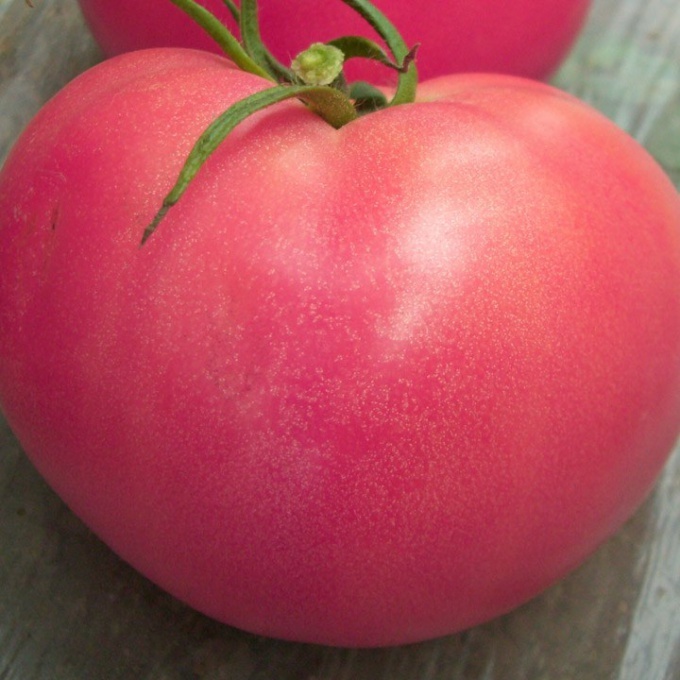 Plant pink tomatoes in the open ground after frost Menomonie threats. For an average strip of Russia is the second decade of June. In the greenhouse planting can be produced in the second decade of may. If the greenhouse is heated, it is permissible to transplant in April or seeding directly into the ground. Care of pink tomatoes is the systematic tying to the trellis, the height of which shall not be less than 1.5 meters, watering, loosening the soil, removal of laterals. Do not allow drying of the soil. If red tomatoes watered enough 1 time a week, rose will require more frequent watering.